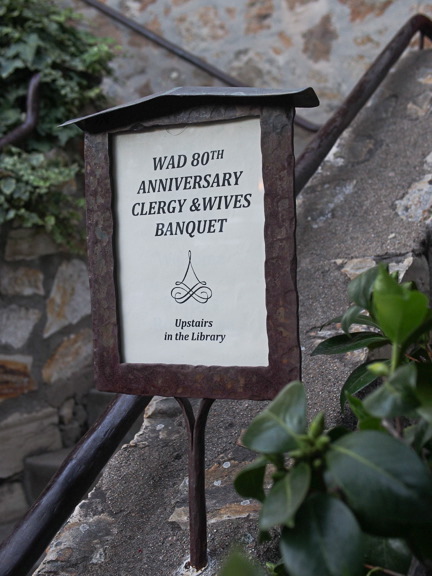 As a way of marking 80 years of our diocese the Diocesan Council of the Western American Diocese wanted to honor and thank the clergy and their wives, knowing that their dedication on the parish level is what sustains the diocese at large. Most of the clergy had already visited Central California for the recent Celebration of the 20th Anniversary of the Canonization of St. John of Shanghai and San Francisco the Wonderworker this past June. It was suspected that it could become too difficult for our all diocesan clergy to travel another time in one year. So, the Diocesan Council thought to combine a banquet for the clergy and their wives, the annual fall pastoral retreat and the Celebration of Sts. Sergius and John into a three day event. 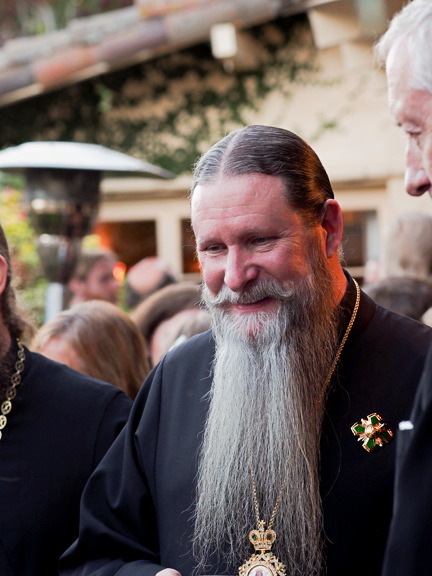 Saint Seraphim’s Church on the Monterey Peninsula was chosen for its picturesque and centralized location. Two families in our diocese came forward with donations and completely covered the expenses associated with housing our clergymen and their wives, and the banquet. The Diocesan Council had reserved Tarpy’s Roadhouse for the venue. The evening air was warm and clear as the clergy families mingled on a cozy second-story patio for hors d'oeuvres. The banquet hall was set with a head table for His Eminence Archbishop Kyrill, His Grace Bishop Theodosy, the Father Rector of St. Seraphim’s Church, Archpriest George Kurtow, and distinguished guests. Round tables throughout the hall were prepared for the priests, deacons and their wives, and for monastics of the diocese with sacred rank. Archpriest Stefan Pavlenko spoke on behalf of the all the guests congratulating His Eminence Archbishop Kyrill and all those present with the 80th Anniversary of our diocese. By way of looking back through the years Father Stefan listed the names of all the previous ruling bishops of the Western American Diocese: Holy Hierarch Tikhon Patriarch of Moscow and all of Russia, Archbishop Appolinary, Archbishop Tikhon, Holy Hierarch Father John of Shanghai and San Francisco the Wonderworker and Archbishop Anthony. 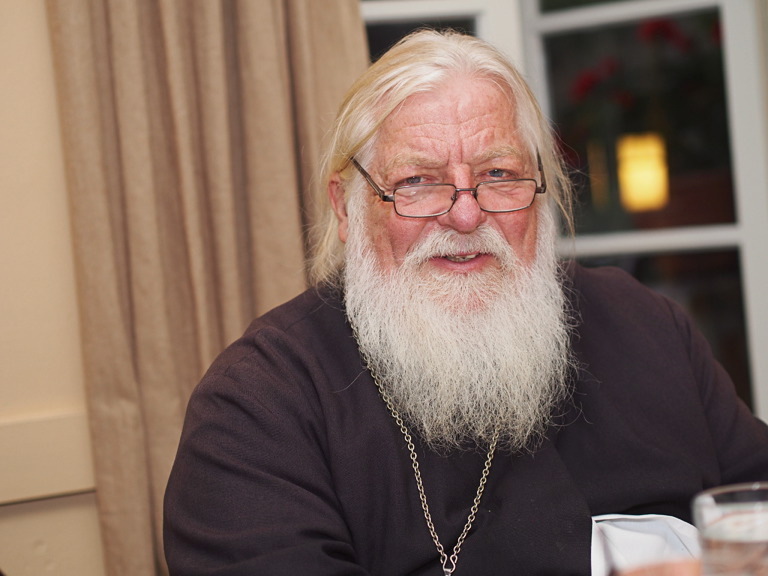 On behalf of everyone present Father Stefan wished His Eminence Archbishop Kyrill continued strength, wisdom and zeal to shepherd the rational flock of the Western American Diocese. Recognition was offered to the Diocesan Council for organizing this banquet and the Celebrations of Sts. Sergius and John. 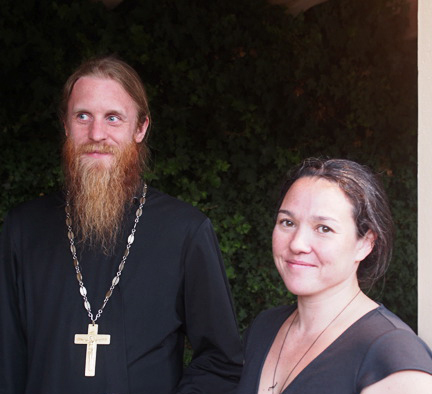 Special thanks were given to Archpriest Peter Perekrestov for his inspiration in this endeavor. We also lift up prayers of gratitude for the two families who made such a generous financial contribution, thus facilitating this celebration.